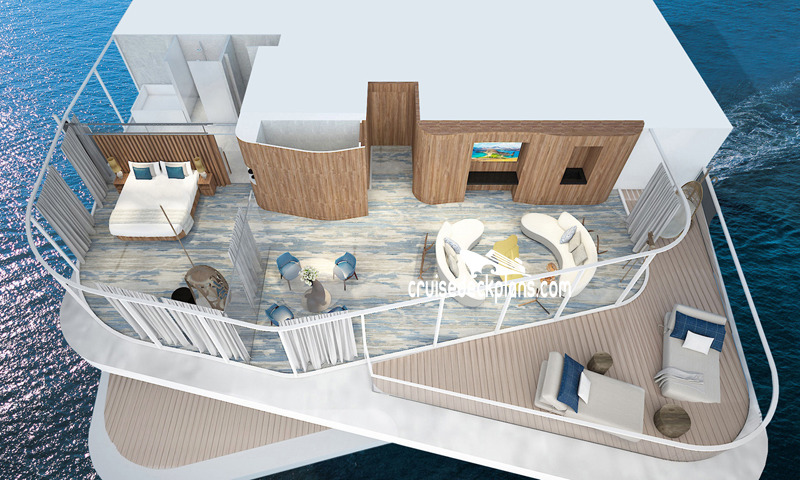 Deck 6 balcony is 321 square feet. 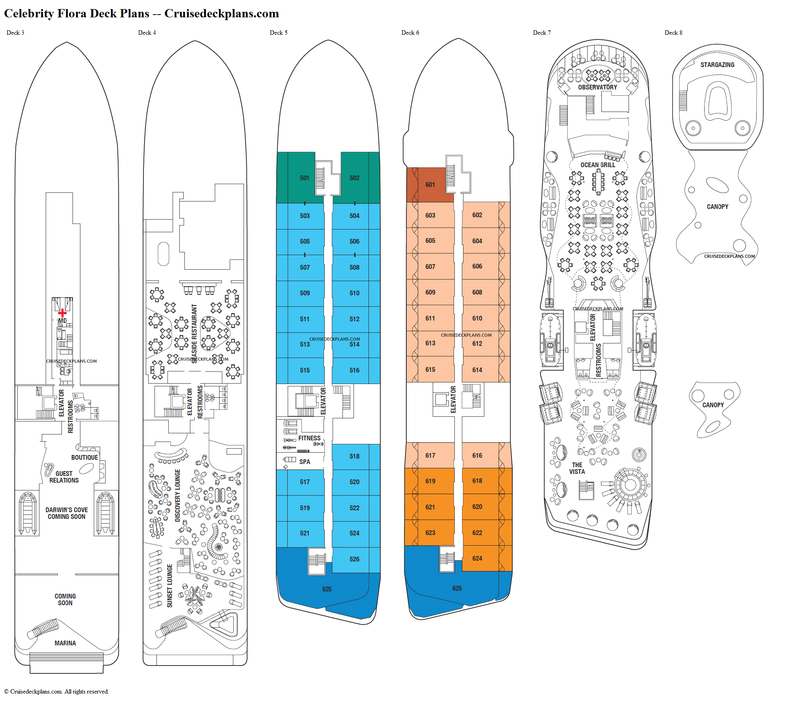 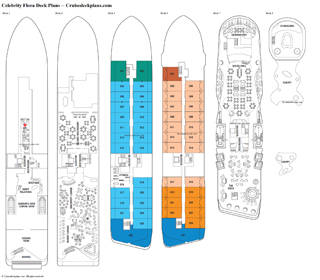 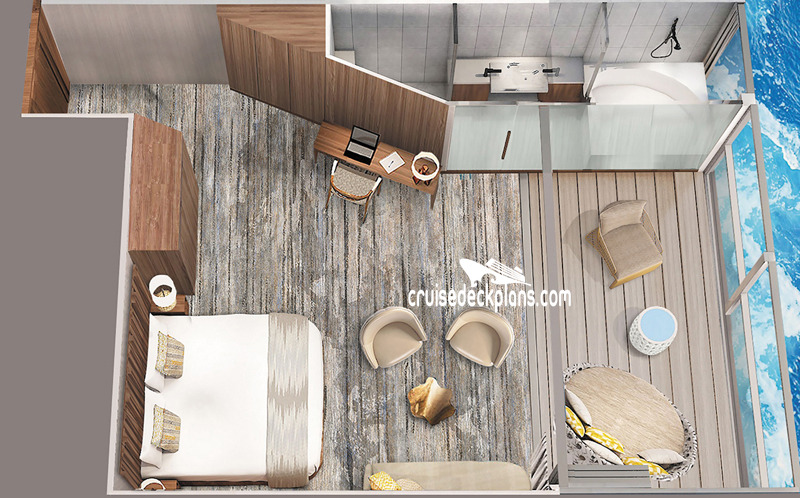 Deck 5 cabin size is 1288 square feet. 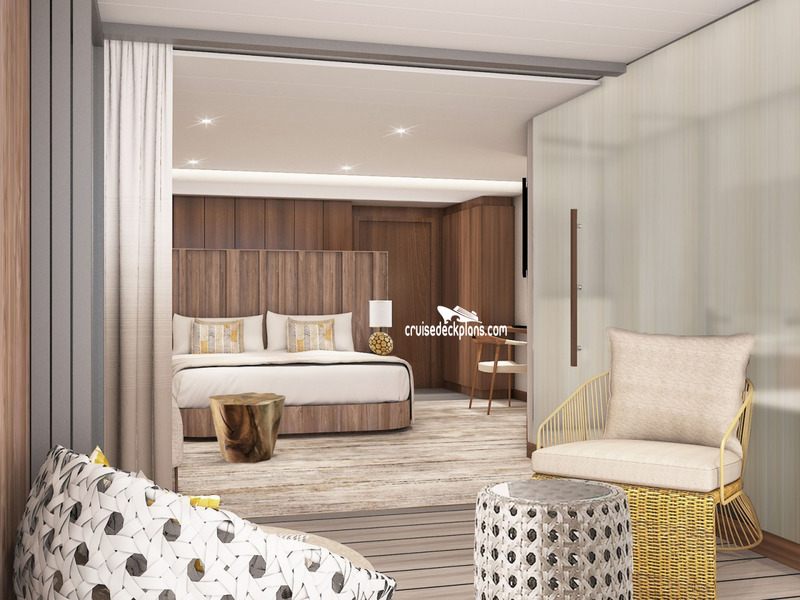 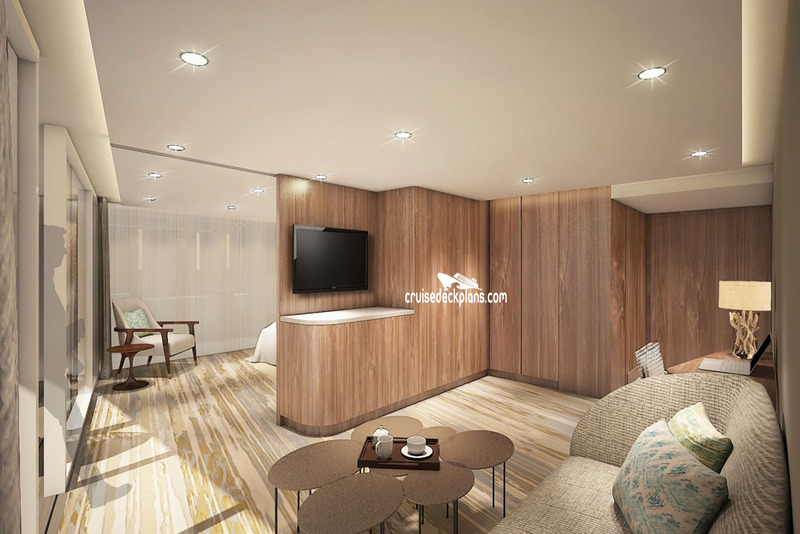 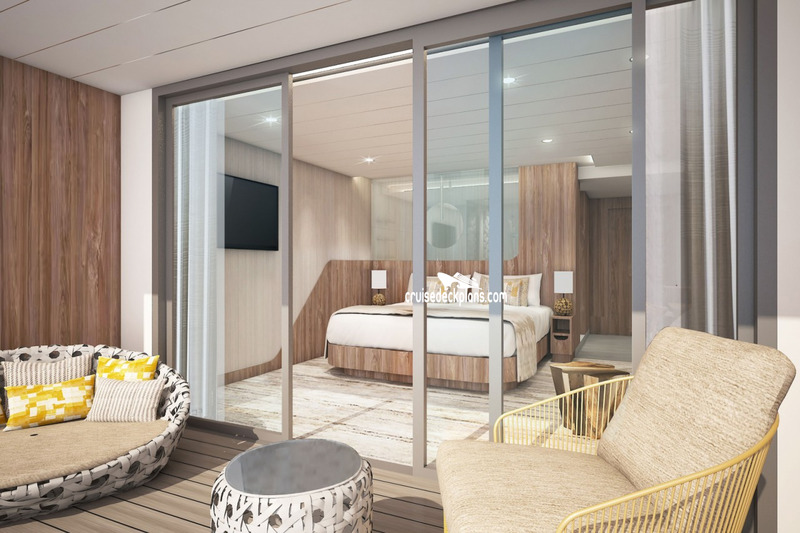 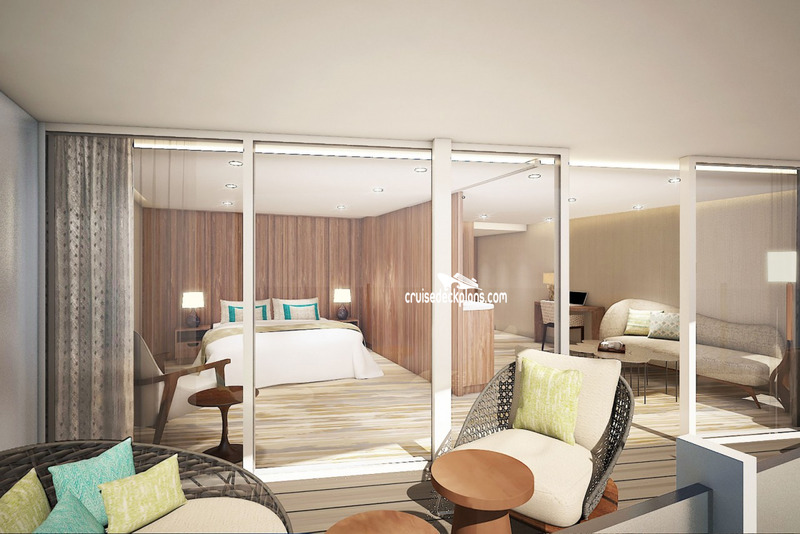 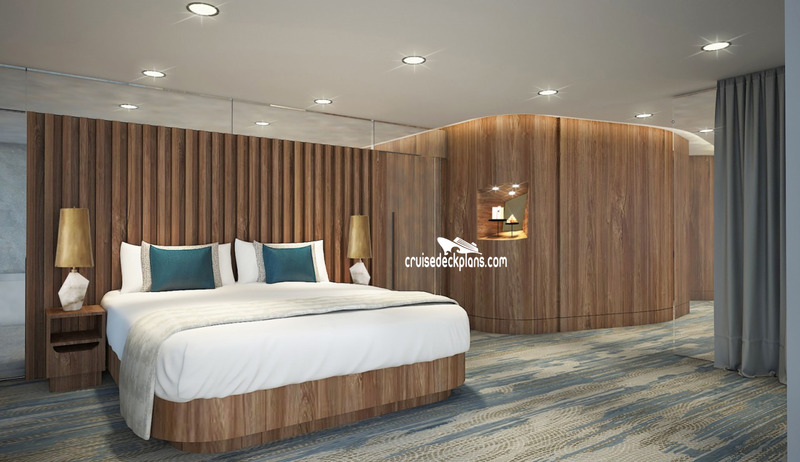 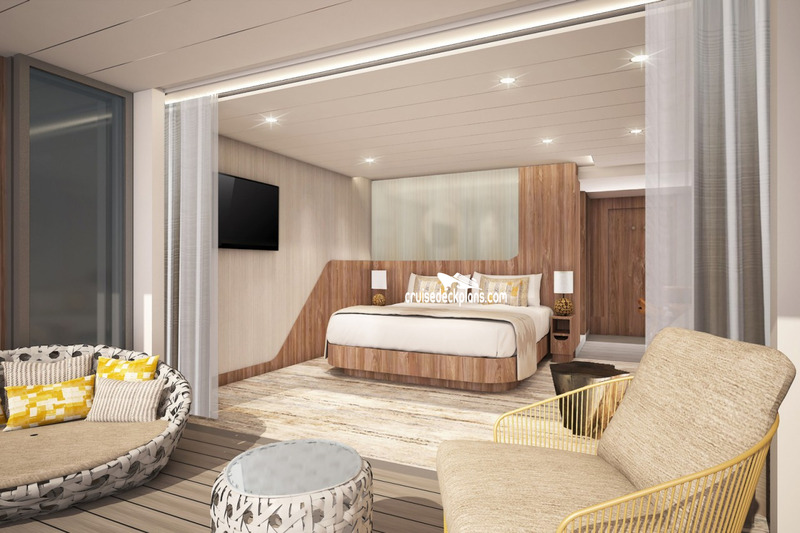 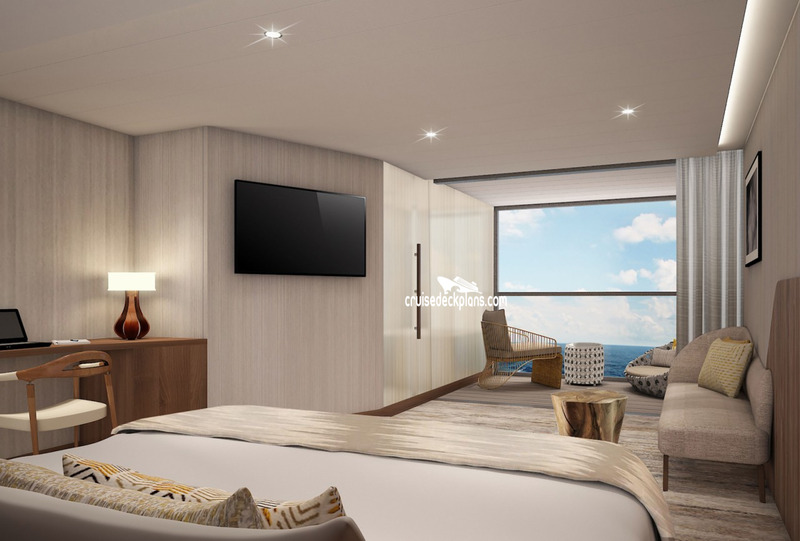 - Infinite Veranda opens the stateroom up to the balcony at the touch of a button. 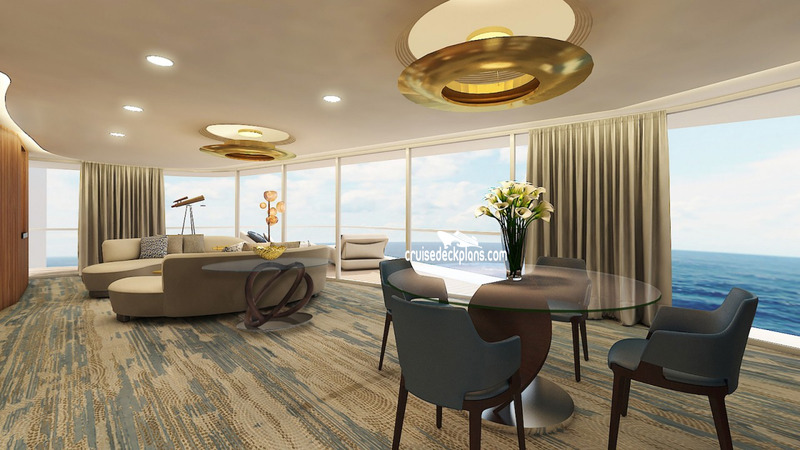 Ulimate Sky Suite (SU) is 365 square feet plus 86 square foot veranda. 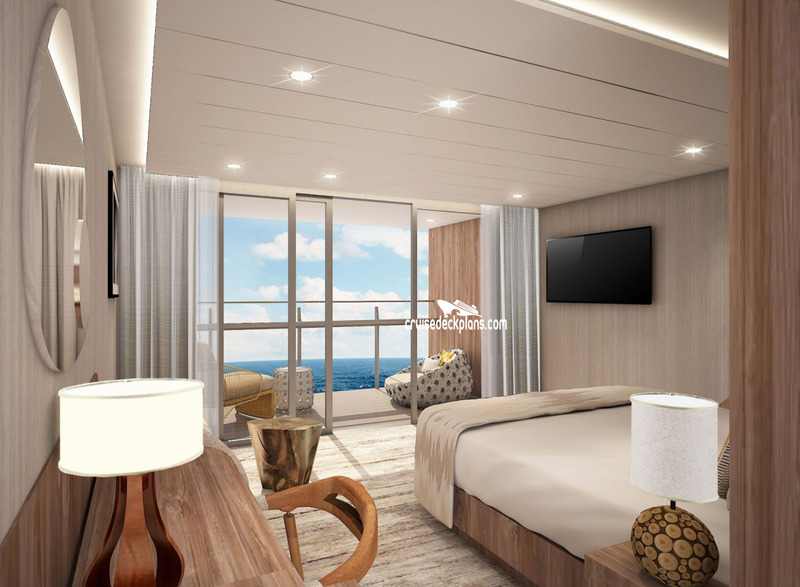 Maiden voyage is May 2019.